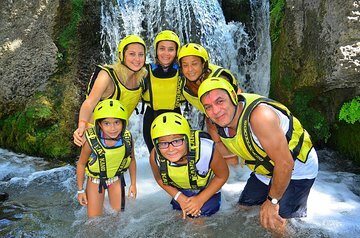 Get out of your vacation comfort zone during this adrenaline-filled, family-friendly rafting adventure through Koprucay Canyon National Park. Well-suited for beginners, the scenic journey passes the breathtaking Taurus Mountains and a tranquil cypress grove, stopping for a picnic lunch. Rafts can fit up to 12 people, so you can hop in with your friends and family. An experienced guide is on-hand for you to relax and enjoy the ride.